Want the car all the footballers are buying? 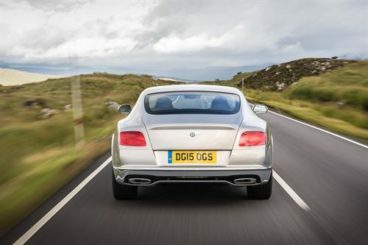 OSV takes a look at the new Bentley Continental GT Coupe, from massive engines to lease deals. 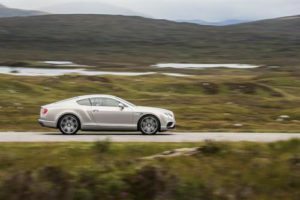 The big, bold new Bentley Continental GT Coupe is a proper, regal old-fashioned grand tourer in the British thoroughbred mould that manages to blend traditional features with breathtaking modernity. Bentley made a big impact on the wars with its racing cars, and it’s this racing heritage that the brand that’s as British as The Royal Family is trying to evoke here. It’s a luxurious, broad-shouldered coupe that has meat on its bones and power in its armoury. It’s commanding, ostentatious, and perfect if you want effortless pace, performance and elegance. 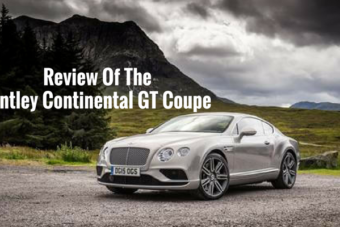 OSV takes a closer look at what it’s all about with our Bentley Continental GT Coupe review. Built like a tank, the Continental GT doesn’t look like it’d be a particularly fast car. But don’t tell it that. This is a hyper-fast machine that defies gravity to travel at speeds that could make a fork of lighting jealous. Indeed, no matter what model you go for, performance is available on tap like champagne at a soiree. Straight lines are where you’ll get the most out of the car, though take it onto twisting roads and a couple of shortcomings are exposed. It isn’t as agile as, say, the Ferrari California T, nor is it as balanced or precise. To get the best out of it, you have to first get to grips with its formidable warcraft-like size and weight. Once you’ve done that, you’ll find that it’s got some serious chops. It resists body lean remarkably well, while the steering is well-judged. In terms of the engines, a V8 model is powered by a twin-turbo 4.0-litre petrol unit that develops up to 528bhp, and which can get you from a rest to 62mph in a matter of 4.3 seconds if you opt for the maniacal S version. Stick to the standard model, and that time is trimmed to 4.6 seconds. If you want the full-fat Bentley experience, you’ll want to cast your binnacle to the 6.0-litre W12 power plant. It delivers at least 575bhp, and can thrust you from a standstill to 62mph in 4.3 seconds. Just in case you don’t want to miss out on a Harrods parking spot, though, the blistering SuperSports model takes things up to a ridiculous level. It delivers a nonsensical 700bhp that means it’s got almost as much power as the tiny proton that kick-started our dear old Universe. And all that power means it can get you to the front of the Harrods shopping queue with a 0-62 time of 3.5 seconds. Footballers don’t buy these cars just for all that power and image. Okay, they do. But they still love the hand-crafted cabin that is drenched in opulence. Indulgence should be Bentley’s second name. The interior contains plump chairs, hand-stitched leather seats, and shiny wood surfaces that wouldn’t look out of place on Air Force Once. Despite all this palatial goodness, it never feels overdone. 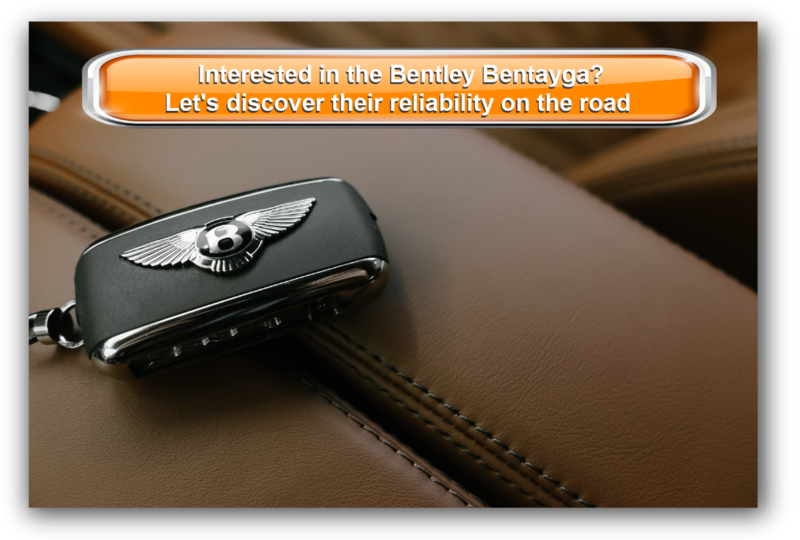 As ever, Bentley have hit the gold-studded nail on the head. The ride quality adds to the luxuriousness. You’re always comfortable, thanks to the cars’ butler-like ability to cushion your highness from the nasty lumps and bumps that mar our roads. The SuperSports model gets stiffer suspension, but too does a good job of absorbing poorer surfaces. Most of the interior has been lovingly crafted by hand, and the result is striking and impeccable. There’s nothing to fault. The subtle metal highlights just work, while the touchscreen infotainment system is easy to operate blends in nicely with its surroundings like caviar at a conference. This is a four-seater, two-door coupe that sports a traditional 2+2 layout. However, the rear seat are small. Adults can sit back there, but leg and headroom is tight. Even the SuperSports model, which missed out on rear seat last time, gets them. The boot is well-sized. It measures 360-litres, which should be more than enough for when you want to head out with the boys for a golfing weekend, or for a romantic getaway with your partner (probably should have written this before the golf thing. Let’s just hope my partner isn’t reading, hey?). The aforementioned infotainment system is part of a generous standard kit that also includes sat nav, a DAB digital radio, and up to 15GB music storage space. As ever with a car like this, there is plenty to choose from from the list of optional extras. 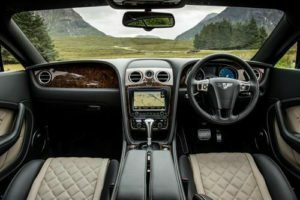 We like the bespoke Mulliner Package, which adds a few luxurious accessories, as well as contrasting stitching and adaptive cruise control. You need a car as esteemed as this to be safe, but it hasn’t (and won’t be) crash tested by Euro NCAP. So although we can’t say for sure how safe it is, its track record is good. Moreover, it comes with the reassuring four-wheel-drive system, but a lot safety features – such as carbon-ceramic brakes – are rather expensive options. Prices for the new car start out £140,000 from and rise to £169,000. If you prefer to lease, you can pick up a deal from £2,750 + VAT per month. For more information on our lease deals, check out our page here. As you can imagine, running costs are staggering. The model has never been cheaper to run, but that isn’t saying a lot. However, if you’re blessed with deep pockets and are willing to pay the asking price, we reckon officially recorded figures of 26.6mpg won’t make you wince. That figure is actually likely to be in the region of 20mpg in real-world conditions, however. This isn’t the greenest of cars, though. If anything, it’s totally black. The V8 emits 246g/km of CO2, the W12 emits 358g/km of CO2, and the SuperSports emits 358g/km of CO2. Bad news if you care about the environment. It doesn’t matter which model you go for, this is a devastatingly quick car that leaves the whole world in its fabulous wake. The four-wheel-drive provides much-needed security and makes this car as strong as an ox. Unbelievable speed comes at a massive price these days, a price even the average Bentley buyer might argue is unwarranted. If you’ve got money to burn, average fuel economy returns of 20mpg are no issue. For some of you, the running costs might be where you begin to look elsewhere. If you’ve made it past the price section, let’s see how the fares against its rivals in the comparison section of our Bentley Continental GT Coupe review. 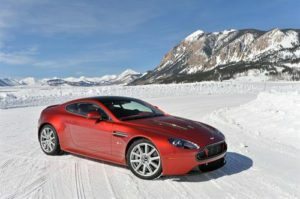 The new Aston Martin V12 Vantage Coupe is a timeless, exciting car that’s easily one of the best this prestigious brand has ever made. An ubiquitous 6.0-litre V12 engine powers it. It delivers an incredible 565bhp, which is enough to propel you from a rest to 62mph in less than 4.0 seconds before maxing out at close to 200mph. Power delivery is always smooth, though we’d ignore the automatic ‘box and stick to the manual. The former is just too jerky and doesn’t really suit this car’s debonair image. Moreover, we’d recommend snapping up the manual ‘box while you can. They’re a dying breed with cars like this now. The steering also comes in for a bit of criticism, as it’s a bit weighty. However, the suspension is nice and firm – just as it should be. Carbon ceramic brakes match the formidable power of the car with some serious stopping power. They inspire plenty of confidence in the driver – it’s just a shame that they’re only available as an optional extra. It’s not the most comfortable cars indoors, thanks to the firm suspension. However, sitting in this luxurious cabin is an experience like no other, with the Alcantara-steering wheel just one of the many highlights. However, despite how exquisite the cabin is, there is no getting away from the fact that it’s old – noticeably old. Rivals are fresher, including the Bentley, and it’s here where the Aston Martin might lose you. The dash just looks too dated. Still, it’s fairly practical. The boot measures 300-litres, and it’s easy enough to access, thanks to a hatchback rear door. And although it’s strictly a two-seater, there is room behind the front seats to tuck away more of your Harrods shopping. 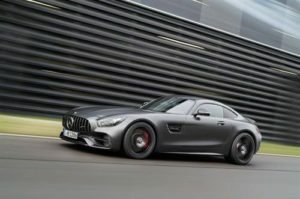 Originally conceived to rival the Porsche 911, the Mercedes AMG GT Coupe is a mean-looking two seater that’s ready to do business. This might be a small, squat car, but it races around like a hornet on speed. It’s powerful and can boast a low centre of gravity, which means plenty of pace and handling prowess. But how can such a small car deal with a massive engine that delivers up to 500bhp? By placing the weigh low down and distributing it evenly between the rear and front. In so doing, the car is balanced even as you sail through bends. It’s a sharp car that always feels alert and responsive – important when you’ve got so much power at your fingertips. The steering is light, which makes it useful around town, but it can twitch at speed. But let’s look at the numbers. The 4.0-litre petrol engine is intoxicating, and can do 0-62 in 4.0 seconds in standard guise. Upgrade to the AMG GT S model, and you can trim that time to 3.8 seconds before maxing out at 193mph. The engine delivers all its power in such a way that performance is accessible no matter how fast you’re going. However, all that feral performance comes at a bit of a cost, and you can’t expect better fuel economy returns than 30.4mpg. And the truth is that they’ll be tough to achieve. Inside, the car is absolutely gorgeous. But how much pleasure you get out of it will come down to how much you’re willing to spend on the optional extras. In standard form, the AMG GT Coupe is good. But it’s only when you add some expensive treats that it begins to feel special. However, all cars get a stylish dash, matt silver finishes, LED lights and cruise control. In terms of practicality, you might struggle for space, and the small windows will make you feel a bit hemmed in. You’ve only got two seats, too, and there isn’t too much room behind the seats for extra storage. Hardly surprising when you consider this car is shorter than the BMW 3 Series. Thick windscreen pillars restrict visibility somewhat, and your legs might begin to ache on a longer journey. The door pockets aren’t big enough but the boot measures 350-litres, which makes it bigger than the one in the Ford Focus. We started this review talking about footballers. However, the footballer image won’t be for everyone. And the conundrum some of you might be wrestling with is that the footballer image is a bit off-putting. However, if you can past that image, this old kid on the block is one of the most prestigious cars that can do 0-62 in 4.0 seconds. It can travel at insane speeds without losing its sense of occasion (though anyone sipping on some champers in the back will probably spill a bit), and it provides more luxury than a jewellery store. Big, bold and British, the new Bentley Continental GT is a beautiful beast.